Alicia Gage is the Vice President of Human Resources for C&W Services. She is an experienced human resources leader with more than 10 years of HR management experience. Her most recent position was HR Director leading HR programs and initiatives for Asset Services at Cushman & Wakefield. 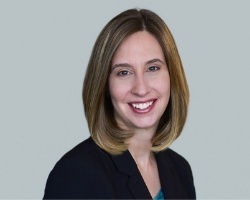 Alicia has an extensive background in HR activities, including mergers and acquisitions, employee relations, conflict resolution, benefits and compensation, organizational design, recruitment and retention, and HRIS implementation and management. Alicia has a Bachelor’s Degree in Criminal Justice and Psychology, as well as a Master’s in Business Administration from Lindenwood University. She is certified as a Senior Professional in Human Resources. Alicia is based in St. Louis, MO.